According to The Times-Picayune, Peyton Manning is training in New Orleans and preparing to play in 2015 with the assistance of renowned trainer Mackie Shilstone. Manning’s preparation for the upcoming season isn’t a complete nod that he is returning to the field next season. There is the matter of the Denver Broncos and their offseason activity. John Fox is out as head coach with Gary Kubiak in the fold. If you’ve watched the iterations of Kubiak teams in Houston, it utilizes a quarterback’s mobility as a part of its passing game and can be a run-heavy attack. As we found out during Denver’s second round playoff loss at home to the Colts, Manning isn’t about that life as he potentially enters his 18th season. Perhaps the bigger issue will be who is catching passes in Denver. Both Demaryius Thomas and Julius Thomas need to be re-signed to keep that high-powered passing game intact. Also, the remains of Wes Welker may not return either. 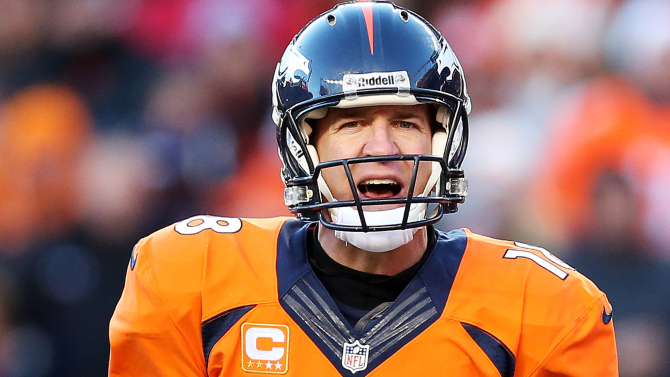 If Denver’s offense undergoes massive changes, why would Manning return? With his window of opportunity to win a Super Bowl just about closed, his supporting cast would need alterations and not a massive overhaul. Oh, as for Mackie Shilstone. He is no joke as a trainer. Shilstone has trained over 3,000 athletes including Serena Williams. Peyton is in good hands. However, the bigger issue may be if Denver wants him back. The bigger issue is does Peyton have anything left in the tank? Am I the only one who has noticed he’s worn down at the end of both the last two seasons.